A new cycle connection between Green Square and Randwick will intersect with four regional cycling routes, providing a comfortable and convenient mode of transport for thousands of future Green Square residents. It’s the fourth separated cycleway for the area and will connect to more than 2.4 kilometres of separated bike lanes already linking Zetland, Waterloo, Alexandria and Redfern with the inner city.Lord Mayor Clover Moore said the infrastructure would encourage more people to walk and ride, connecting Green Square residents and businesses to public transport, the city centre and beyond. 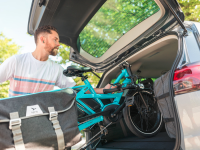 “The Green Square cycleways will give local residents and businesses an easy, comfortable and safe way to get to workplaces, schools, shops and green spaces,” the Lord Mayor said. 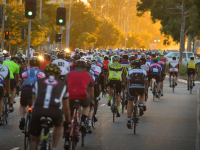 “These cycle links make Green Square one of the best connected growth areas in Sydney, with major destinations such as Central Station and the University of Sydney just a 20 minute ride away,” the Lord Mayor said. The Green Square to Randwick cycle link includes a separated cycleway along Epsom Road. This strategic corridor will service several new streets as part of a future precinct development with safer pedestrian crossings, more plantings and sections of shared path. The new cycle link is part of the Marrickville to Randwick regional route. The Green Square cycleways will be completed in stages and open by late 2019. Construction of a cycleway along Geddes Avenue is underway and future cycleways will be built on Zetland Avenue and the southern half of Portman Street. 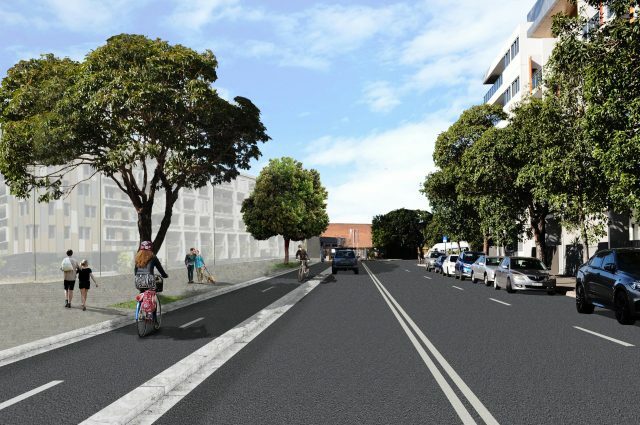 The Green Square to Randwick cycle link is identified as a strategic bike corridor in the NSW government’s ‘Sydney’s Cycling Future’, and construction will depend on state government funding.